It's no secret that we love IKEA. We return to the Scandinavian retailer time and time again for its on-trend, minimalist pieces and its insanely affordable prices. (Psst, these are our favorite under-$100 IKEA finds that look expensive.) Although we frequently browse the brand's décor offerings, the arrival of spring has us scrolling through the Swedish giant's organizational categories as we prepare to channel our inner Marie Kondo. Although there are quite a few spaces that would benefit from some KonMari-style decluttering, we're starting in the kitchen. Now to show us how to really organize a kitchen, we decided to consult the pros (aka recipe creators who spend hours navigating pantry shelves and reaching for spices every single day). We tasked some of our favorite foodies—Tieghan Gerard of Half Baked Harvest, Claire Thomas of The Kitchy Kitchen, Holly Erickson of The Modern Proper, Kate Ramos of Hola Jalapeño, and Rebecca Firth of Displaced Housewife—with a particularly daunting challenge. We asked them to show us exactly how they'd organize their own kitchens with just $100 to spend at IKEA. Trust us when we say that you're going to want to add everything these recipe creators recommended to your cart. Keep scrolling to shop five foodie-approved IKEA kitchen organization edits. "My biggest kitchen tip is to keep a very well-stocked pantry," Gerard tells MyDomaine. "With a pantry that is always full, you can create incredibly delicious dinners in minutes that are effortless and still so good. 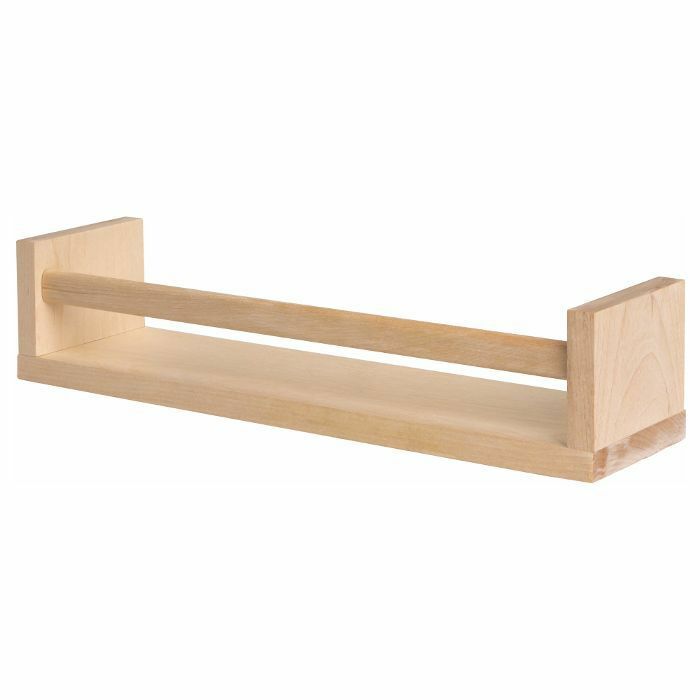 These shelving units are a must in my kitchen—I have a few of them and keep things like canned items, pasta, rice, etc. on them." "Every kitchen needs glass jars. I use these to store homemade granola, tea, dry grains, and even as a flower vase (which looks vintagey and pretty). The uses for glass jars are endless and they make your pantry look cute and organized too." "A utility cart can be used for so many things. 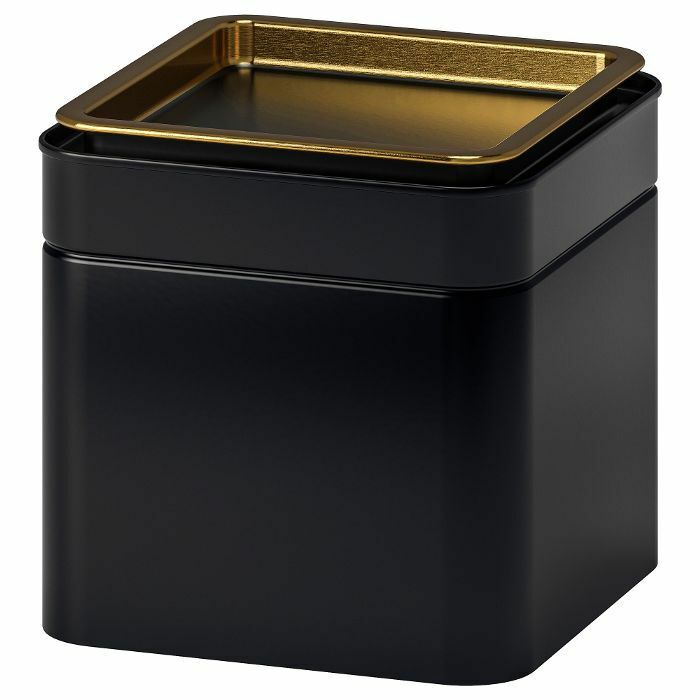 I use it to store my fresh herbs inside during the colder months of the year. It's stylish and functional. You could also keep it by the stove to hold cooking utensils and pot holders." "I love this bin for underneath the sink to hold all of my extra paper bags or totes," says Thomas. "Without it, it's total chaos down there." 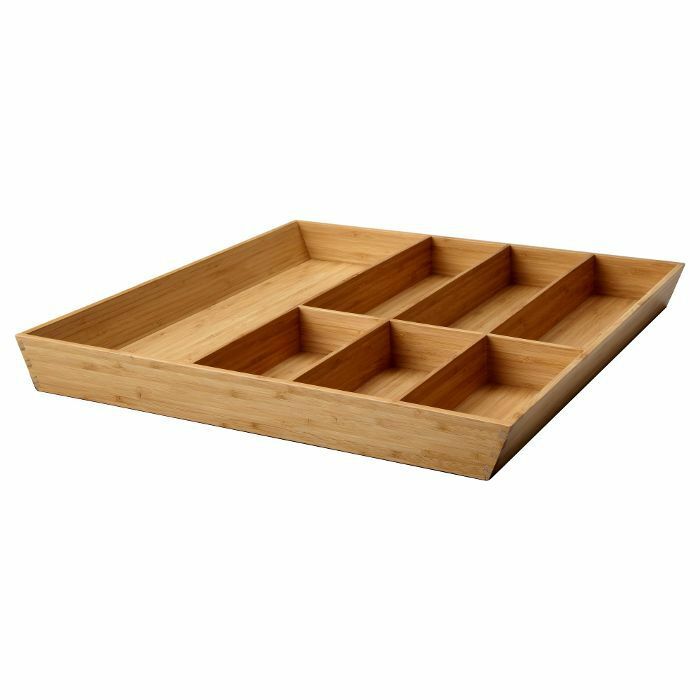 "This modern serving tray looks beautiful on a countertop and is great for keeping smaller items or bites organized. Whenever I come home from the bakery, I'll put any treats there." "A big part of kitchen organization is creating spaces that look purposeful and curated, rather than a bunch of clutter on your counter. Trays like this help create little zones. For instance, I'll fill this tray with my salt and pepper shakers, olive oil carafe, kitchen string, and garlic holder - all of my quick and easy go-tos are ready to grab." "These canisters are so chic and simple, and you can use them for any spices you want to keep handy on the countertop. The larger size also works for kitchen tools like chopsticks, pens, or fussy bar spoons." "I love these simple baskets for holding fruit on the counter, or for organizing the clutter of plastic bags that end up in the pantry. I have a big basket marked "paleo" that has all of my oddball ingredients, like cassava flour and coconut manna." "In my pantry, I have dumped out every bulk item into a plastic bin and used a label maker to mark what it is. It's so helpful because I can immediately see if I'm running low on something, and having every item in the same sized bin creates tons of space efficiency." "I can think of a million uses for these adorable wood-handled baskets—I'd definitely get a few of them to use around the kitchen," explains Erickson. "One would go under the sink to hold loose sponges and cleaning products. And it's ideal for tidying up a messy cupboard—the perfect way to contain all of my bulk bin goodies like nuts, flaked coconut, and dried fruit." "These shelf inserts—designed to fit inside a kitchen cupboard—are pure organizational genius. I'd buy two, and use them to create some order in my cabinets, both to free up space, and to allow me to more easily and quickly see exactly what I've got on-hand." "I would buy two packs of these easy-to-attach self-adhesive hooks to use on the inside of my cupboards! They're the perfect little space-saving hook to hang all our little packages of half-eaten nuts and crackers on." 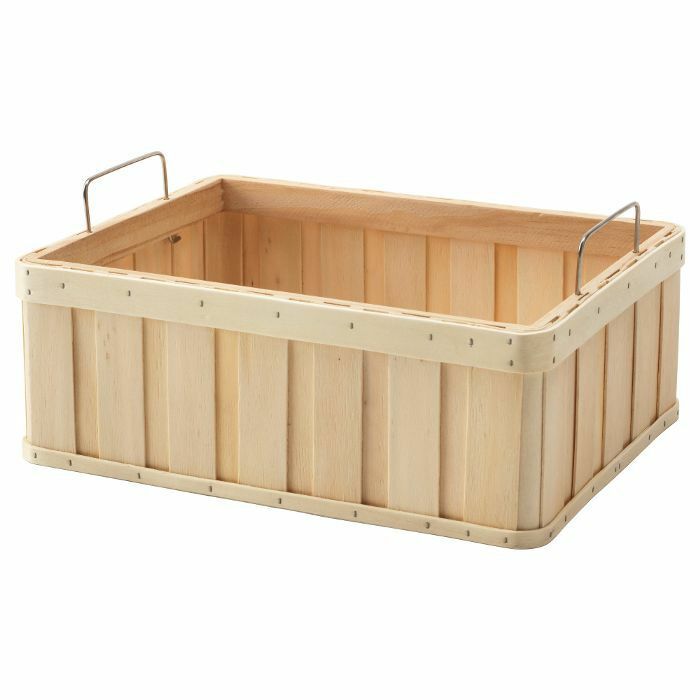 "With summer just around the corner, I'd snap up one of these super cute utility carts to fill with everything we need for dining al fresco. Picnic napkins, plates, and outdoor stemware would look beautiful in the trays, and I love that it has wheels—just roll it onto the patio and dinner is served!" "I'm in desperate need of a few of these spice racks," confesses Ramos. "They make finding the perfect blend of spices a snap, but more than that they can be used for holding all sorts of things from cookbooks to dish towels." 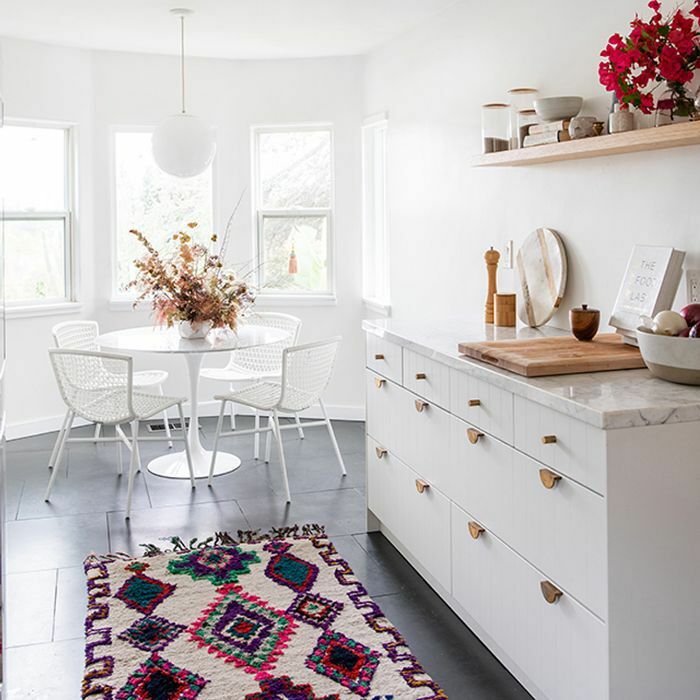 "Our tiny kitchen doesn't have a dishwasher so I'm in love with this dish rack that actually sits above the counter instead of taking up precious counter space." "These look much nicer than plastic containers and a few of them are perfect for holding flour, rice, and sugar." "Right now my baking pan/cooling rack/cutting board situation resembles the Leaning Tower of Pisa. These partitions would make things way easier (and safer) to find." "I love how small and efficient this shelving unit is. It would fit perfectly in my teeny kitchen and it's tall enough that it still holds plenty." "I love this rolling utility cart to organize everything from spices to food styling props when photographing a project," says Firth. "It's also great if you have friends coming over and want to fashion an impromptu bar cart." "These Marie Kondo-worthy flatware trays keep the insides of my drawers nice and tidy so that finding everyday flatware and serving utensils is a piece of cake. 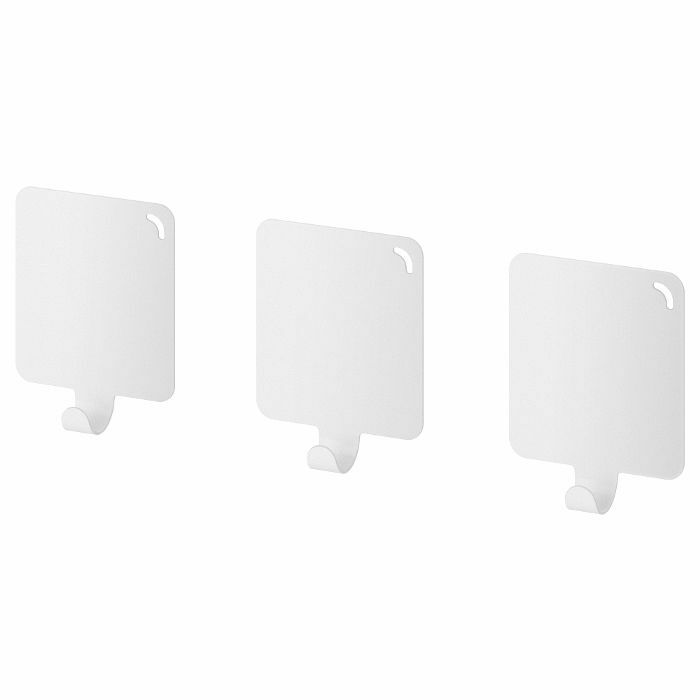 Plus, these inserts look tres chic." 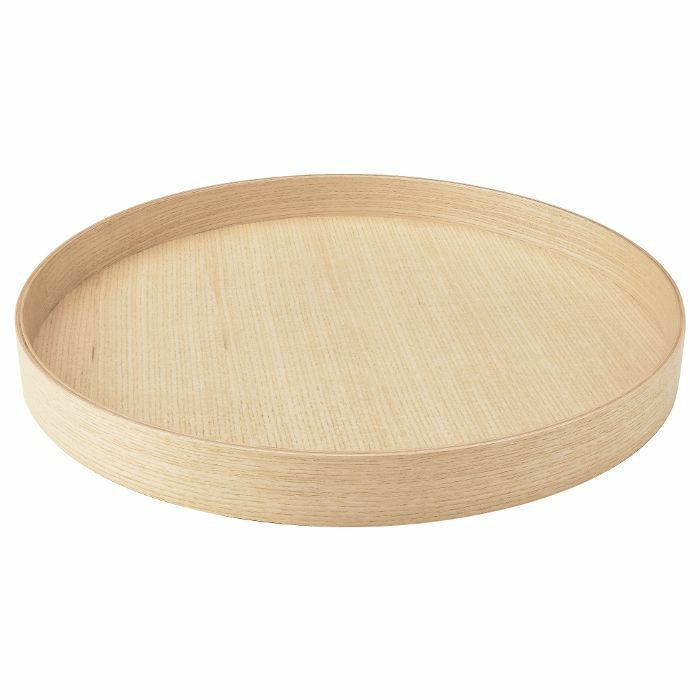 "Not necessarily kitchen organization, but I love these for storing fresh-made cashew milk. Homemade kombucha anyone?" "These glass jars are EVERYTHING! 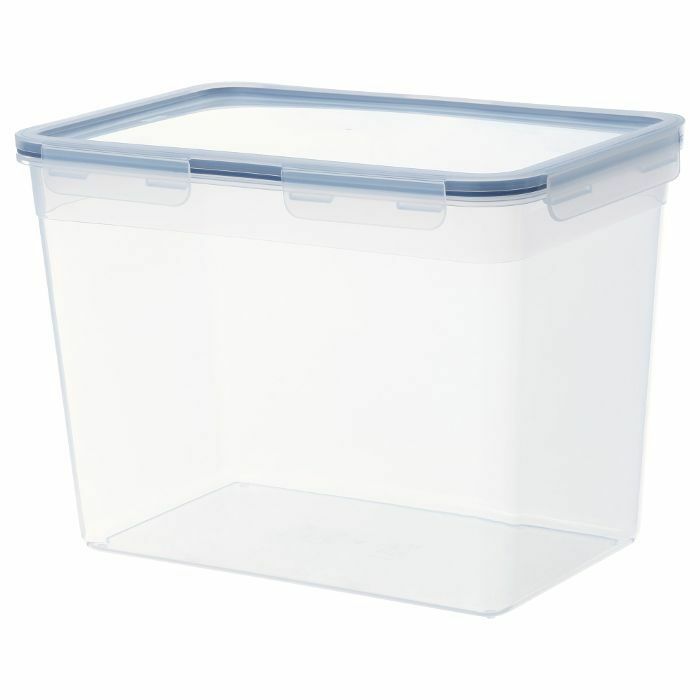 Just what you need for storing dry goods and bulk purchase rice, beans, nuts, and flours." "Uniform jars filled with spices give me the feels. Grab a bunch of these four packs and let your inner OCD freak flag fly." "Again, not organization, but this is one of my most favorite kitchen tools! It strains and sifts and keeps baked goods light and tender for a mere $2.99. Bonus, it fits perfectly over your favorite bowls."